UPC CEE DTH platforms offer additional Filmbox Extra HD television channel. 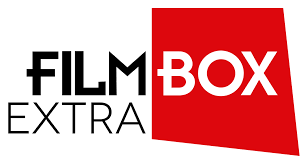 Direct to Home TV (DTH) customers of the subsidiary of Liberty Global UPC in the Czech Republic, Slovakia, Hungary and Romania have offered an additional channel Filmbox Extra HD, its range of premium movie channels offer. UPC DTH operates its services under the brand UPC Direct in Hungary, the Czech Republic and Slovakia in the brand FreeSat and Romania under the brand FocusSat. The pay-TV operator new service is available to subscribers with three premium movie channels of UPC DTH. Along with Filmbox Pak three other Premium Movies TV channel, Filmbox Premium Filmbox Plus, and Filmbox Family. Filmbox additional HD channels Uplink from Telenor Satellite West Thor 1 and available for several areas. UPC DTH and Filmbox were important partners in the satellite TV distribution in this area. Based on the basis of increasingly Filmbox premium subscribers, UPC DTH, and Filmbox currently launched a promotion campaign in the Czech Republic and Slovakia, which provides each new subscriber UPC DTH Filmbox Pak with attractive offers. "The introduction of additional Filmbox Extra HD strengthens our Premium Pack of Filmbox on UPC DTH, which now includes four channels of unique films. The last step also improves our channel line-up on Telenor Thor 1° West," said Berk Uziel, International Director Executive Filmbox." With our recent acquisitions of the major US studios like Disney and NBC Universal, our popular films Delivery packages of premium."